On Wednesday at dawn, the soldiers invaded the Deheishe refugee camp, south of Bethlehem in the occupied West Bank, invaded several shops, after breaking their doors, and confiscated surveillance tapes. 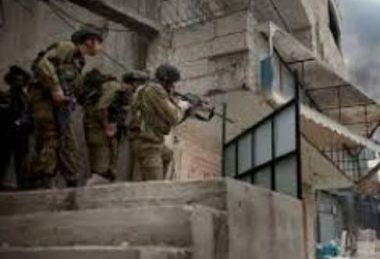 Also at dawn, the soldiers abducted four Palestinians from their homes, in the ar-Ram and Anata towns, in occupied East Jerusalem, and one in Ethna town, west of Hebron. On Tuesday evening, a young Palestinian man, identified as Bakr Rajeh Masalma, 30, from his home in Beit Awwa town, west of Hebron, in the southern part of the occupied West Bank.